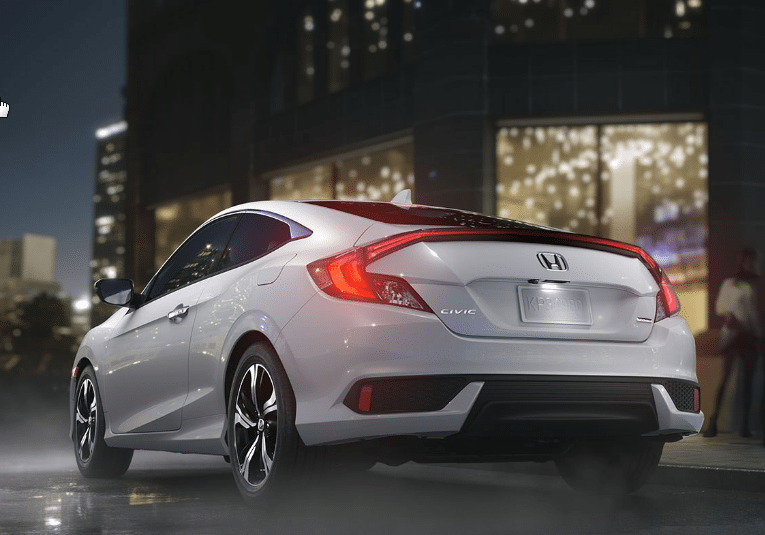 From behind the wheel, the 2017 Honda Civic will fill you with confidence. An incredibly firm chassis combines with potent powertrains for a thrilling ride every time. Advanced safety innovations will help you feel secure in every situation. Add to that a suspension designed for comfort as well, plus quite a few surprising onboard amenities. All these positive attributes are wrapped up in a striking exterior. Choose your level of performance with the two available engines for the 2017 Honda Civic. The first is a solid 2.0-liter four-cylinder, which achieves a stout 158 horsepower and 138 lb.-ft. of torque. If you want more spice in your life, a 1.5-liter turbocharged four-cylinder engine is the other option. With 16 psi of boost on tap, performance is pushed to 174 horsepower and 167 lb.-ft. of torque. Direct injection helps with conserving fuel. Both engines have a drive-by-wire throttle system, so when you step on the accelerator you feel an immediate response. Hill start assist is standard as well, keeping the car from rolling back when you first get going. Certain 2017 Honda Civic models can be outfitted with a snappy 6-speed manual transmission. The alternative is a continuously variable transmission (CVT). No matter your setup, front-wheel drive is standard. Part of the reason for supreme handling dynamics is the MacPherson strut in the front and a multi-link rear suspension. This setup reacts quickly to driver inputs, but is tuned for comfort. The variable ratio electric power-assisted rack-and-pinion steering makes maneuvering through tight areas far easier, plus adds stability to the car when you're going freeways speeds. Four-wheel antilock disc brakes ensure you have plenty of stopping capability at your disposal. Safety is addressed with the 2017 Honda Civic in a number of ways. Active systems include vehicle stability assist, traction control, electronic brake force distribution, brake assist, tire pressure monitoring and even LED daytime running lights. A rearview camera with multiple angles the driver can select is included on all models. You can add further to the solution with a collision mitigation system and road departure mitigation. Lane keeping assist and adaptive cruise control are also options. In the unfortunate event of a crash, passive safety designs help protect drivers and passengers. The Advanced Compatibility Engineering (ACE) body structure features crumple zones in the front and rear, absorbing much of the impact's blow. Several airbags, including side curtains that cover both rows of seats, are standard. The front seat-mounted side bags feature SmartVent technology, which detects if a person is in the bag's pathway, and actually stops it from inflating all the way. Both outboard rear seats have LATCH points for securing child seats. Quite a few comforts and conveniences are included in the 2017 Honda Civic interior. All models have an automatic climate control system, with a dual-zone setup available for greater customization. You can add an auto-dimming rearview mirror. Leather upholstery and heated seats are optional as well, boosting comfort even further. On the technology end, Android Auto, Apple CarPlay, a text message manager and satellite-linked navigation are all available.